The next project in my rotation is Red by Mirabilia. I have had a lot of time to stitch tonight. I finished another diagonal and also found the left side of the design. 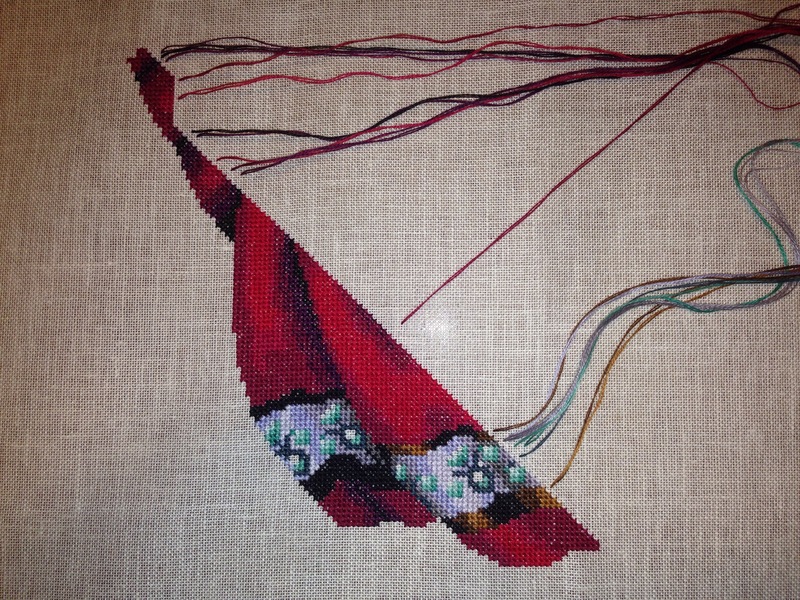 Just when you get bored with stitching large blocks of red the border with a ton of colors comes into play to change your pace. It is a good mix.